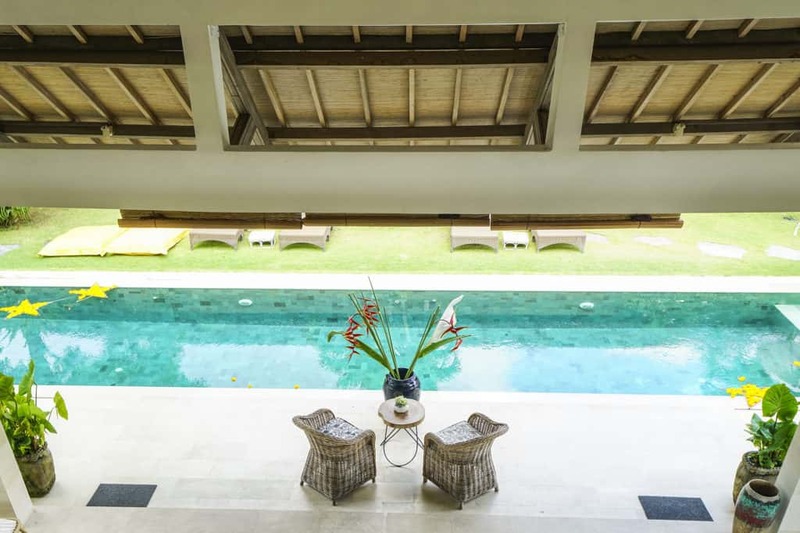 Villa Kadek is a very large 2-storey luxury retreat with a stunning architectural design and breathtaking rice paddy views. The vast open-plan living space enjoys a pleasant temperature all day long thanks to the natural rice paddy breeze flowing through. With a stay at Villa Kadek, you get to enjoy plenty of indoor and outdoor hang-out spots. There are large communal lounge and dining areas as well as cosy reading nooks and day beds to snooze the day away. The centrepiece is the large 18-meter swimming pool. Traditional Balinese ‘payung’ umbrellas in the pool provide shade in the shallow areas where kids can safely play. Go get comfy in the traditional thatch-roofed gazebo that sits on top of the pool, great for those rejuvenating in-villa massages. 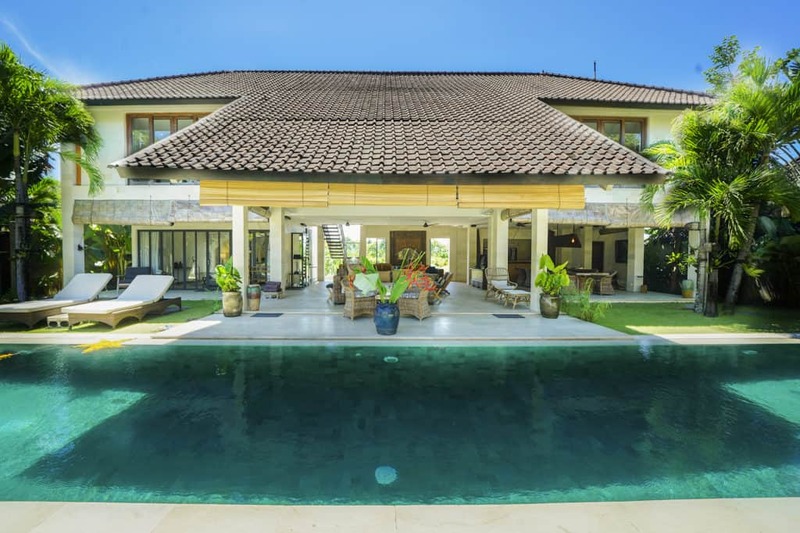 Villa Kadek features an amazing collection of antiques and artwork from Java and Bali but modern entertainment facilities are also catered for. The most eye-catching feature of Villa Kadek is the upper lounge terrace from where you can gaze at the rice paddy and garden views. If you are in need of a breezy spot to lie down and relax with a good book, taking a daytime nap or even better, getting a traditional Balinese massage – this is the place to be! Another comfy villa spot to do the exact same thing is in the gazebo built above the swimming pool. This tropical thatch-roofed garden lounge spot is the place to be for poolside massages and cocktail sipping in style. Great atmosphere and amazing location! 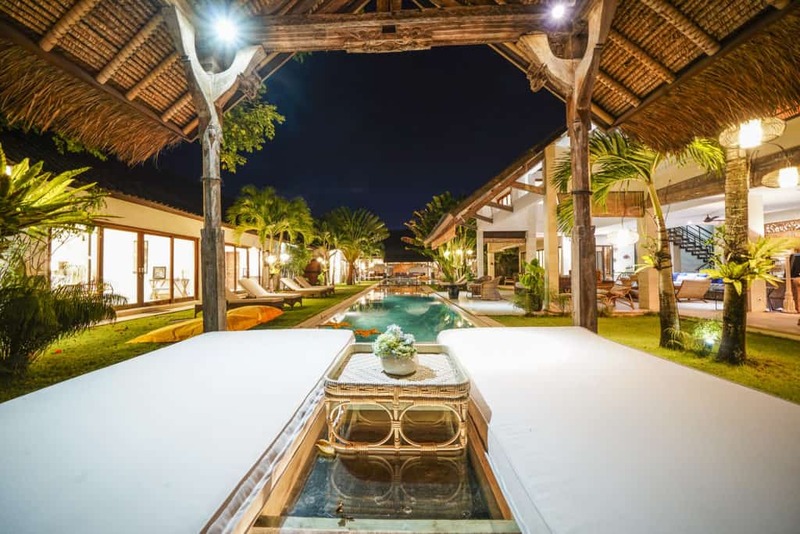 In Bali for the first time with friends, we were really lucky ending up in Abaca Villas. The villas are extremely nicely decorated with all comforts. The rooms are clean and the staff is always smiling and helpful. 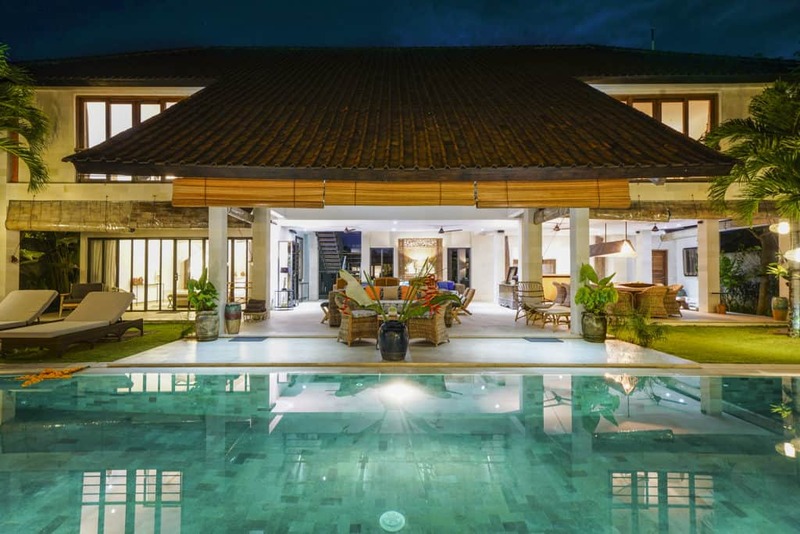 We rented Villa Iluh and Villa Kadek, both of them just perfect. Breakfast is an experience! Restaurants and Clubs at walking distance are a great benefit. Thank you Abaca Villas, we will come back! 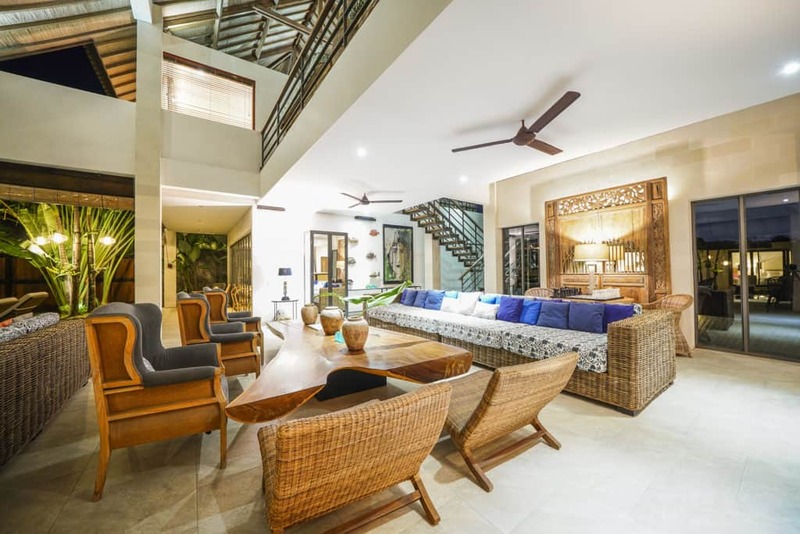 Abaca villas offers peace and tranquility in wonderful surroundings. We stayed at Villa Kadek and it truly felt like home. The staff was caring and always available to satisfy our needs. Rooms are spacious and comfortable. It really was a pleasant stay.